Yes, I’ve made mini doughnuts before. And yes, I’ve made gluten-free doughnuts before. But I loved the idea of incorporating a healthier white-flour alternative into my beloved snack – especially one that I was giving to Noah. And coconut flour is a winner here – high in fiber, “good” fats and protein. 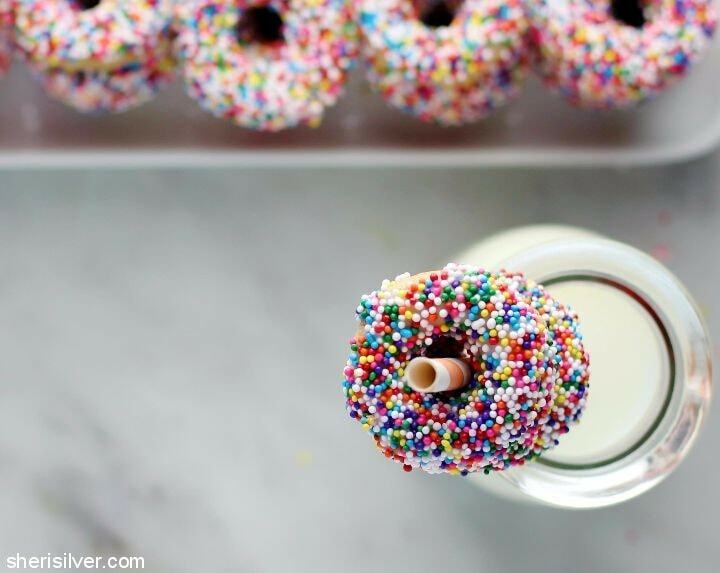 It also creates incredibly tender baked goods, like these easy, adorable doughnuts! 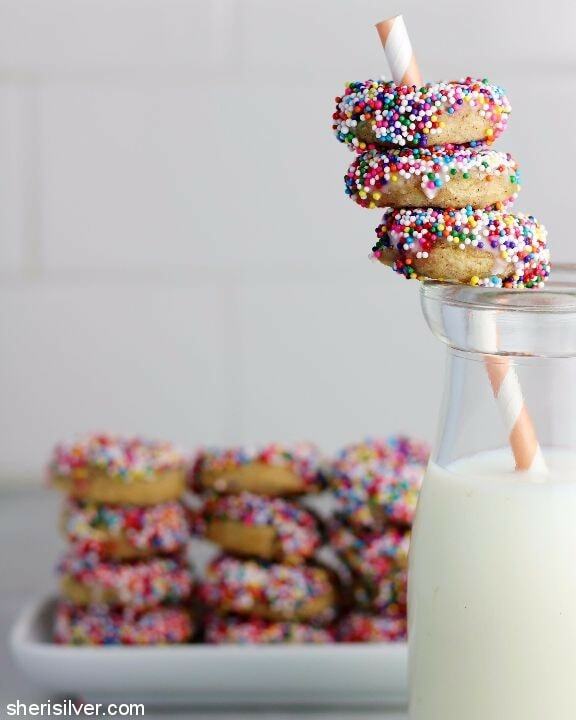 Now I’m not calling these “health food” – they’re still doughnuts, there’s still icing and of course #sprinkles. But you can’t deny that homemade beats processed, and swapping some empty calories for nutrient-rich ones is always a good thing. Feel free to use a standard doughnut pan if you prefer – simply increase the baking time to about 10 minutes (but jeez, these are cute). How do you make small-ish changes in your cooking and baking, to incorporate more of the good stuff? Make the doughnuts: Pre-heat oven to 350; grease 4 mini doughnut pans. In a small bowl whisk the beaten eggs, sugar and melted coconut oil. In a medium bowl combine the dry ingredients. Add the wet mixture to the dry and mix till blended. Add the warm water and mix again. Transfer the batter to a ziploc bag or pastry bag and snip an opening in the corner. 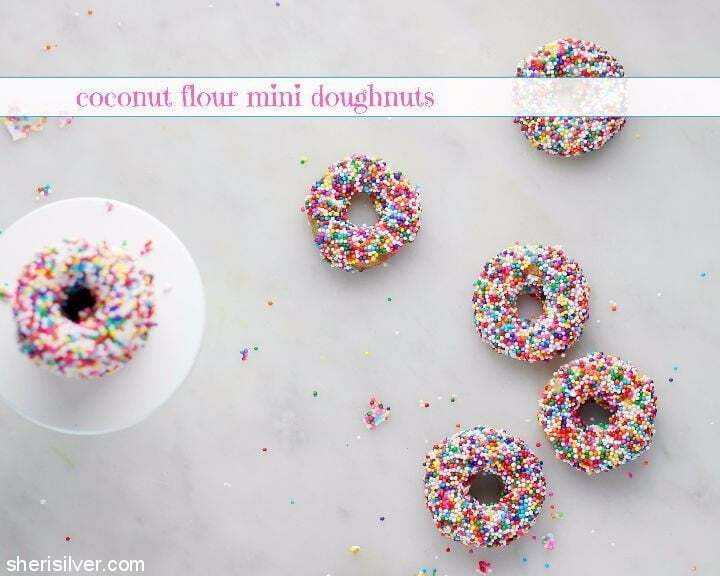 Fill the doughnut pans halfway and bake for about 5 minutes, or till springy to the touch. 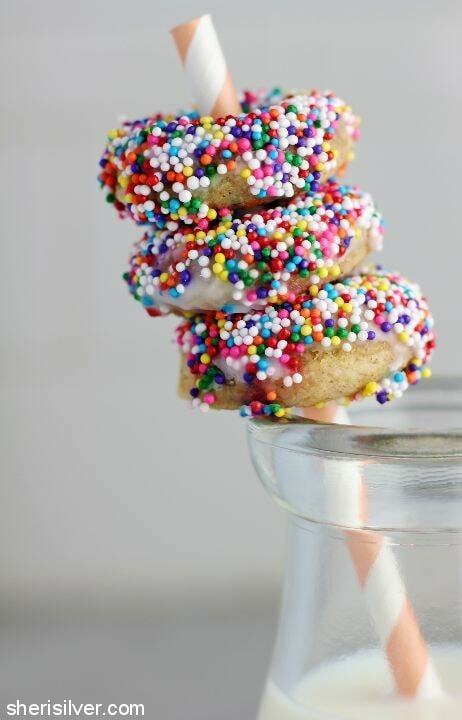 Remove from pan (use a small knife to assist if needed) and invert doughnuts onto a wire rack to cool completely. Set the rack over a foil-lined baking sheet. Make the glaze: Whisk the sugar and milk till smooth. The glaze should be thick but pourable – add more milk or sugar as needed till you get the right consistency. Don’t forget to check out my Pinterest board for more wheat-free recipes!